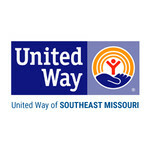 United Way of Southeast Missouri hasn't added a story. Do You Love Your Community Enough to Go Over the Edge? For the first time ever Over the Edge is coming to Southeast Missouri! Brave Edgers will have the opportunity to rappel down the Towers South dormitory at Southeast Missouri State University --all 147 feet! The money you raise to rappel goes to the 24 nonprofits, 30 programs and many public schools in the four counties supported by United Way of Southeast Missouri. Register now to become an Edger! 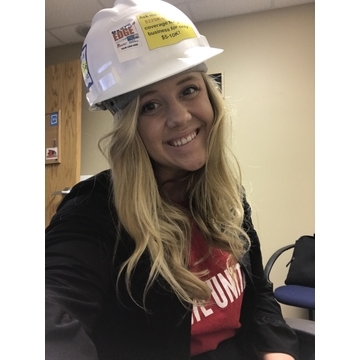 It only takes a few minutes to set up your personal fundraising page with your fundraising goal and your story of why you want to go Over the Edge to help your community. Fundraise $1000 (or more!) We will help you with ideas and tips. If you're not afraid of 147 feet, there's no need to be intimidated by fundraising. Small amounts add up. Or if you can get 10 people to donate $100--you're 147 feet in the air! Experience this unique opportunity to rappel down 12 stories and, more importantly, to help change lives in the community you love! United Way of Southeast Missouri fights for the health, education and financial stability of everyone in the communities we serve: Cape Girardeau, Jackson, Scott City, Perry County, and Bollinger County. Over the years our business model has evolved from being a Community Chest offering emergency help in times of need to creating lasting change through the collective impact of our network. We have moved from merely collecting and distributing funds to identifying and investing in solutions, collaborating with others to change lives for children, students, working families, and senior citizens throughout Southeast Missouri. Our Mission: The United Way of Southeast Missouri serves as the leader in uniting people and resources to build a stronger and healthier community. Our Vision: The United Way of Southeast Missouri envisions a safe, healthy, and proactively caring community in which every individual thrives during each stage of life: healthy babies, successful students, responsible adults, active seniors. Or volunteer to help with the event. Or donate to help another Edger strengthen Southeast Missouri!